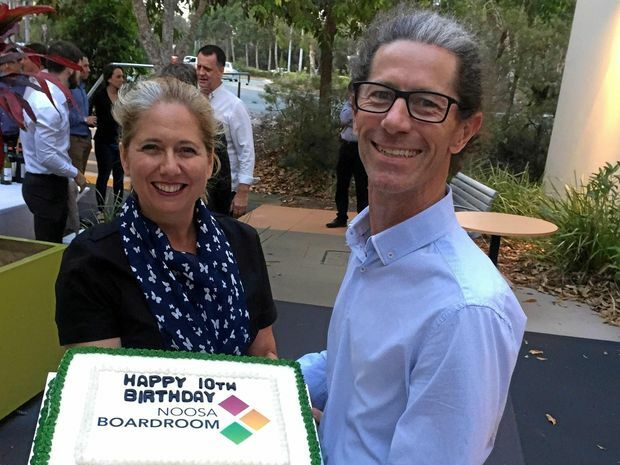 With a global financial crisis weathered since opening the doors of the Noosa Boardroom 10 years ago, founder Steve Lawrence has learned his services have to be adaptable. His business has been operating since day one of the Noosa Civic complex, providing serviced offices, meeting rooms for hire and secretarial services. “We weathered the GFC and then we were faced with a changing business environment becoming increasing digitally focused, so we knew we had to adapt to survive,” Steve said. “It was nerve-wracking at first and then we just listened to our customers and made sure we kept innovating to meet their needs,” he said. Steve said the Australian Bureau of Statistics said more than 60% of small businesses cease operating within the first three years of starting and he has seen the attrition rate with his own eyes by way of the ‘for lease’ signs in shop windows around town. He said many of these were once small businesses, so that’s motivation enough to help those new business ventures rise to the same sort of challenges he has more than met. Steve now advises start-up businesses in his Noosaville business incubator. “It all starts with the idea, which is essentially defining what problem the business owner is trying to solve for their customer and we then go from there,” Steve said.